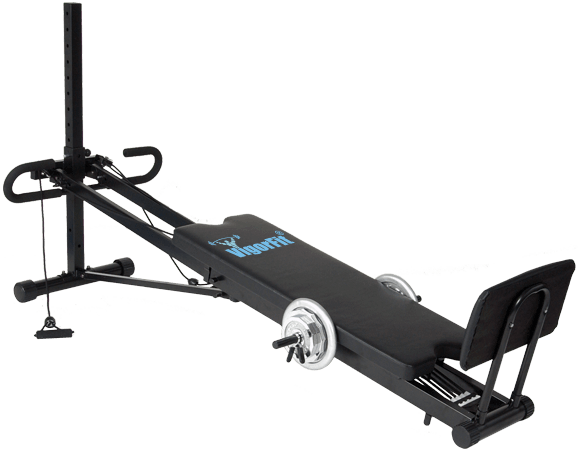 The Vigorfit® Gym comes 100% complete with everything you need to perform more than 107 gym quality exercises plus a complete Pilate’s routine. With up to 440 lbs of whopping resistance you will never outgrow the gym. Plus, remember you are protected by a complete Bumper to Bumper Lifetime Warranty. If you are looking to get in shape fast the VigorFit® is your tool to make it happen. See the VigorFit® in action for yourself. To see everything that comes with your VigorFit® for Free click on the below link.